Foreword. Introduction. 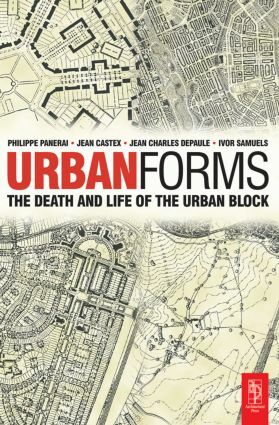 Chapter 1: The Paris of Haussmann 1853-1882; Chapter 2: London: the garden cities 1905-1925; Chapter 3: The expansions of Amsterdam 1913-1934; Chapter 4: The new Frankfurt and Ernst May 1925-1930; Chapter 5: Le Corbusier and The Cité Radieuse; Chapter 6: The metamorphosis of the plot and urban design; Chapter 7: The development and transmission of architectural models; Chapter 8: Building the city; 1975-1995; Chapter 9 :An Anglo-American Postscript. References. Index.